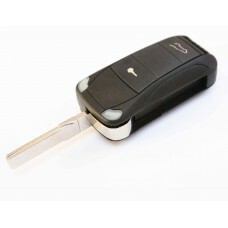 This key fob case is made according to OEM specifications. You will have to transfer the electronics and battery from you old key fob to this new case. You also have the option of transfering the old blade or have a cut a new one. Please note that since the original case is not designed to be opened by owners, it will take some force to get it opened.